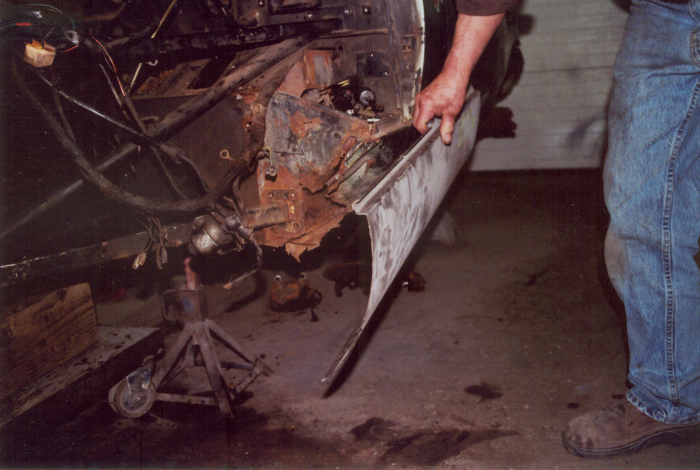 Here's a typical rusty outer sill that's been cut away. After all the rust is media blasted away and the inner sill is coated in epoxy primer, a new outer sill will be welded into place. 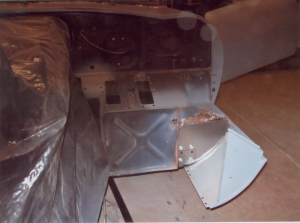 Here's a left front sill (or what's left of it). 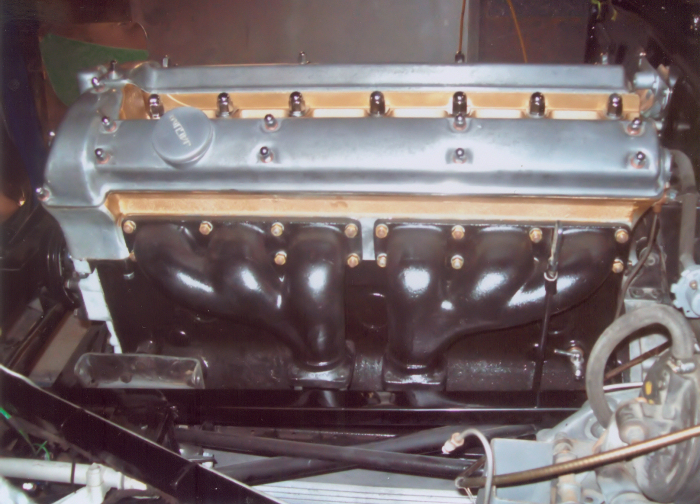 As serious as this looks, it's nothing Terry hasn't seen before in previous cars. 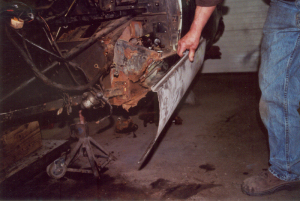 This will be a routine repair. 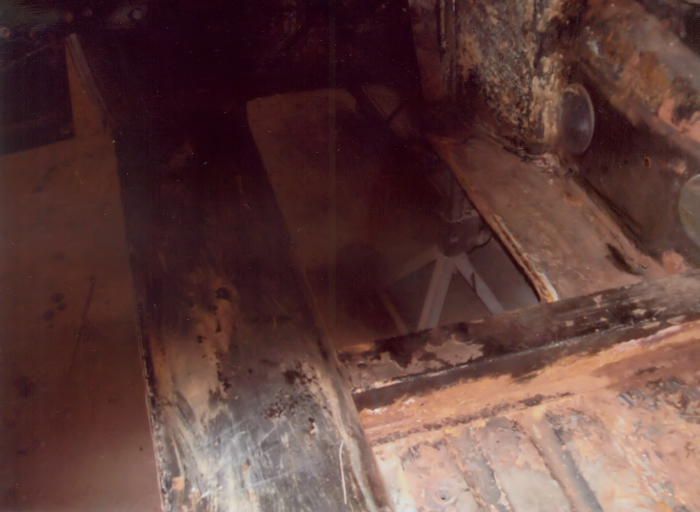 The badly-rusted driver's side floor is cut out, ready for a new floor pan to be welded in. New front subframes and picture frame have arrived. 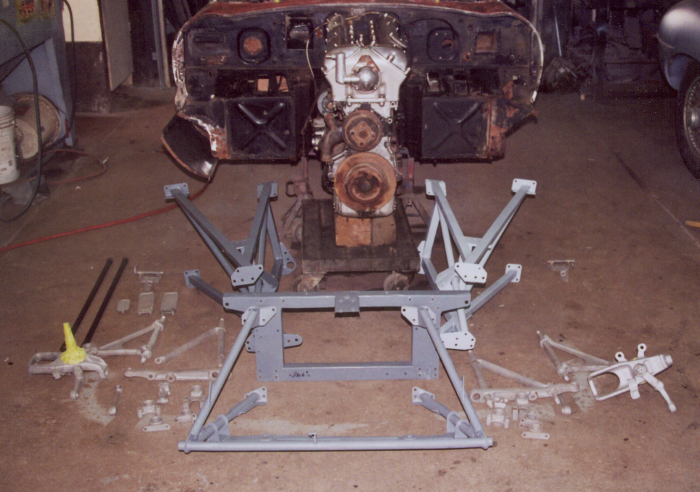 Also, the front suspension components have come back from being plated; all parts are laid out to verify everything is accounted for. 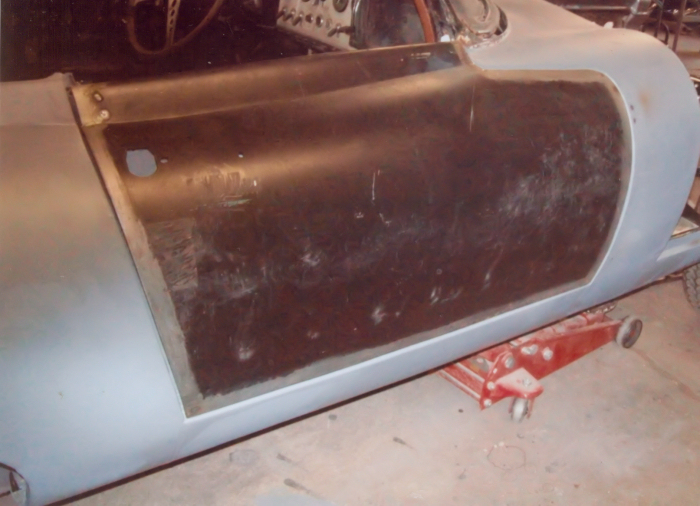 The front sill opening panel is being checked for proper fitment. 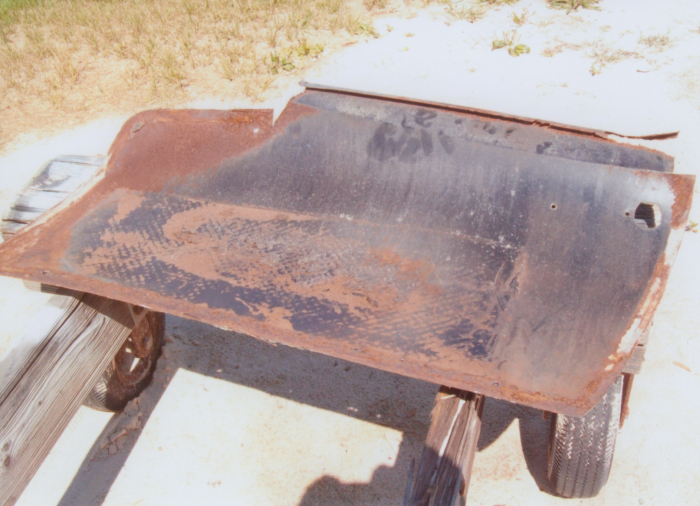 All rust will be removed prior to welding this panel into place. This entire area was destroyed by rust and will be reconstructed. This door skin is rusted badly along the top front edge. It will be replaced with a new skin. The new door skin is welded to the inner door structure, and the rebuilt door is offered into place for a test fit. 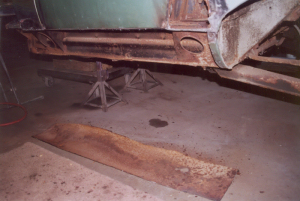 More work will be done to get the gaps right. 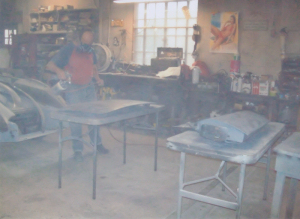 Terry applying primer to the boot lid and doors. 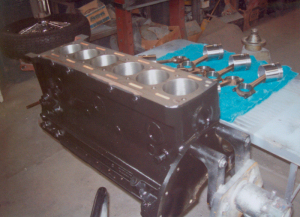 The engine is back from the machine shop and it's ready for assembly. 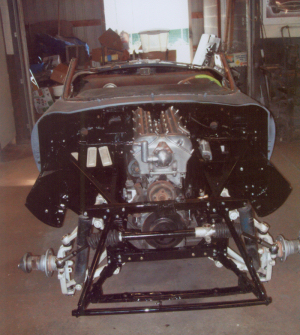 Engine completely assembled and installed in car. Under-bonnet area is painted and assembled. Front suspension (minus brakes), steering, and engine are all in. 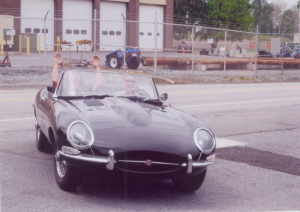 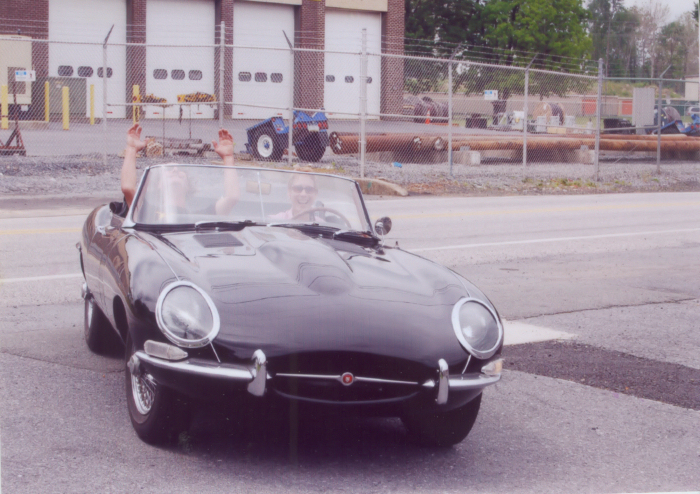 A very happy owner (and a grateful Terry) swing back to the shop after a fun test drive in her newly restored E-Type.